Away Travel was discussed and currently is nonviable due to distances to a lot of opponents and the costs of hiring coaches with two drivers. The LISC will monitor this as the season goes on and will revisit it, especially if Irish make it to the Championship Play-Offs. We will be releasing a new Polo Shirt hopefully in time for Christmas that celebrates the 15th Anniversary of the club’s Powergen Cup win. We may too run an event in 2017 that celebrates this, subject to discussions with the club and budget. We will be arranging a Meet the Ref night, ideally with a difference, possibly with a Championship referee or as suggested by a LISC member, a female referee. We will also look to run another Meet the Players night as these prove popular, possibly with our sponsored players (Seb De Chaves, Ciaran Hearn and Richie Palframann). 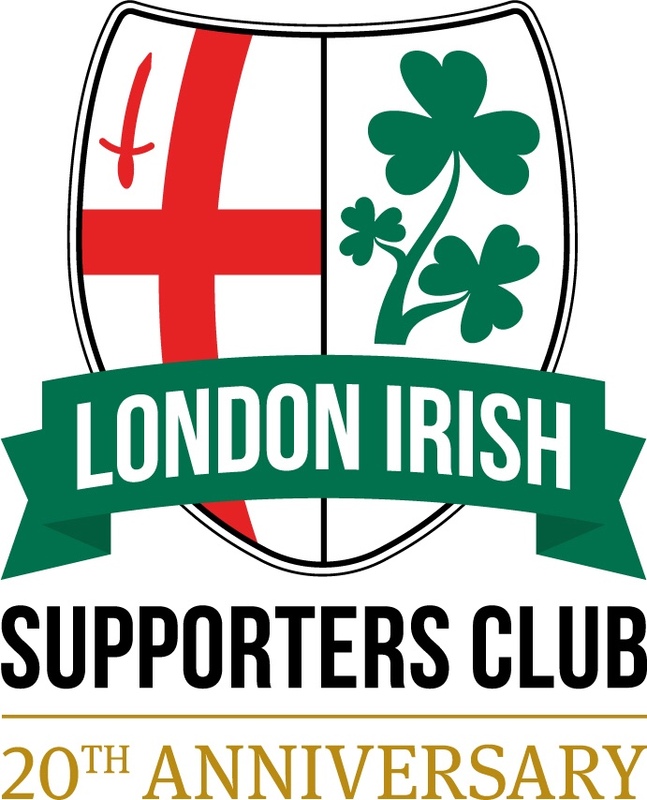 We remain as ever a volunteer-led organisation and again called for anyone who has the time to help the LISC either remotely and/or on a matchday at the Madejski. We can always look for help with communications, merchandise and more. Injuries and Squad – Bob discussed the current squad and squad rotation, how the team are slowly gettin used to the concept and rotating every few games followed by a ‘Selection Game’ for the squad to win their place. London Welsh was one such game and Yorkshire Carnegie is likely to be another where we play our strongest team. There are a few injuries in the team currently especially at Loosehead with Tom Smallbone and Danny Hobbs-Ayowemi out injured. Nick already has possible injury replacements scouted and a player may be signed in the coming weeks. Brentford – The potential Brentford move was a obvious focus for supporters and whilst Bob was tight-lipped on commercial details some more information was given surrounding the move. The club expect Hounslow Council to review their application by the end of the year with a firm decision before March. Should the Council reject this application, the club is investigating other avenues but Bob wouldn’t confirm anything. It was reiterated that any move would have to involve greater commercial income than the rental deal we have currently with Reading with a joint venture company possibly being setup for events and other non-matchday opportunities with Brentford. The club continue to look into issues such as car parking and how to get supporters from Reading and further afield to Brentford for a matchday and once the move is confirmed will start to firm those plans up. Brentford’s new stadium is not expected to be completed until August 2019. Academy – One area of continuing promise is the Academy and some of our recent graduates have been playing in the British & Irish Cup showing off their credentials. Bob confirmed that while the club had to cut costs due to relegation the investment in the Academy actually increased this year and this has been seen in the recent contract extensions for many of our top Academy boys. Recruitment – Recruitment for next season is ongoing with Nick and Brendan leading this for the club and with potential recruits already lined up. According to Bob none of the deals are subject to relegation clauses but wouldn’t be drawn on any details other than recruitment is going well. Championship – Bob was also asked about the match clock and why we couldn’t have one at the Madejski like in the Premiership. Again this is due to the limitations of the Championship, with no RFU timekeeper on site, unlike the Premiership. Therefore for all non-televised matches it will be run off the referee’s watch and we will need to guess how long is left! At the end of the night Bob was thanked with a customary gift – namely some Red Wine – and the night was over. The LISC extends its thanks once more to Bob and the club for allowing us access and insight into the Club and its operation.